On Thursday, Russia and Norway signed an agreement to conduct geological exploration in the formerly disputed Arctic shelf area, the Norwegian Ministry of Petroleum and Energy said in a statement. The agreement was signed on October 25 by Norwegian Petroleum Minister Kjell-Borge Freiberg and Dmitry Kobylkin, Minister of Natural Resources and Environment of the Russian Federation. Earlier on Thursday, the signing of this agreement was announced by the Ministry of Natural Resources. "This agreement was signed as part of the September 2010 agreement on the division of zones, and it will benefit both countries. It implies that both countries can evaluate the potential of the resources up to and along the line of demarcation," Freiberg said. "The purpose of this agreement is to regulate the procedure for collecting seismic data for the full mapping of potential oil and gas fields on the continental shelf of the state up to and along the line of demarcation. We have all waited for this agreement for a long time," the press service of the Natural Resources Ministry said, citing Kobylkin. In October 2016, the Russian Natural Resources Ministry reported that Russia and Norway were ready to sign an agreement that would determine how oil and gas companies in both countries would operate when developing the Arctic shelf, including collecting seismic data along the demarcation line on the continental shelf in the Barents Sea and the Arctic Ocean. In 2010, Russia and Norway signed an agreement on the division of the so-called gray zone in the Barents Sea, which entered into force in July 2011. 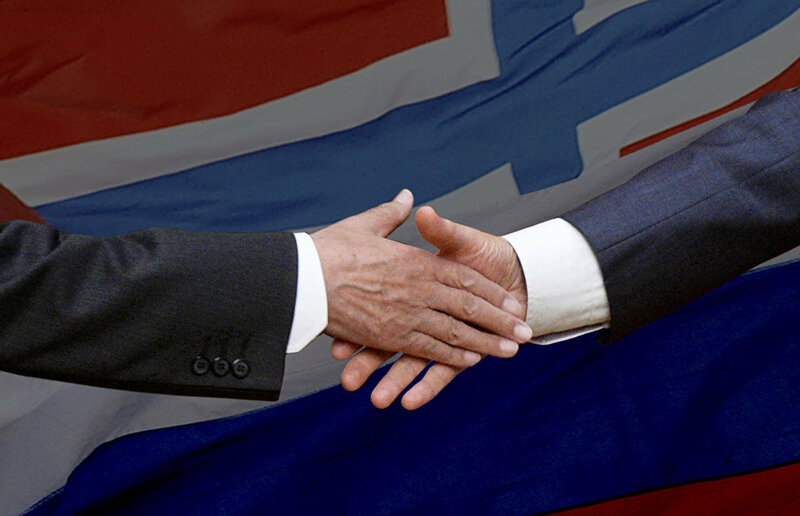 Talks on maritime delimitation between Russia and Norway began in 1970, and the signing of the agreement enabled Russia and Norway to freely explore their respective parts of the Arctic shelf. In August 2015, Russia submitted a revised application for expanding the boundaries of its continental shelf in the Arctic due to the accession of the Lomonosov Ridge and other underwater elevations of a continental nature to the UN Commission on the Limits of the Continental Shelf. The projected hydrocarbon resources of these areas are estimated at 4.9 billion tons of reference fuel.